TOP SECRET PIRATE CENTER FOUND! In a stunning discovery, a top-secret pirate radio facility has been discovered operating publicly in the central Illinois city of Peoria. Details are sketchy as our reporters have not been able to get beyond the burly guards (wearing matching Cleveland Indians t-shirts) and their fierce rottweilers. 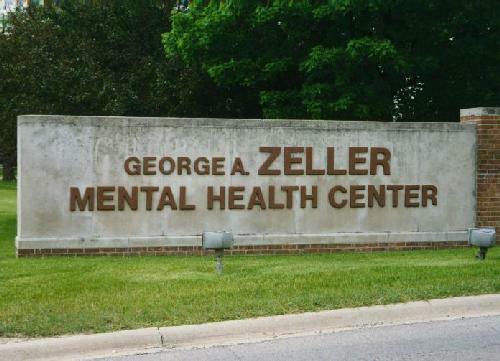 However, available information indicates that the center functions as a psychological rehabilitation hospital for pirate radio operators who have "gone off the deep end" (per an anonymous source). According to center statistics which were leaked to this publication, about ten percent of those individuals who become pirate radio operators eventually develop severe psychological problems. These individuals become so involved in the programming they produce that the programming becomes reality to them and true reality becomes meaningless. For example, recently the operator of a station called "Radio Azteca" was arrested after he dressed up as an Aztec priest and attempted to find a virgin to sacrifice at a nearby high school. (One teacher commented, "I can think of several kids that I would have helped him sacrifice, but I doubt any of them are virgins. No wonder the Aztecs are history. They killed their best offspring.") Apparently, many incidents such as this one can be found in the center's files. The first one - the one that gave birth to the idea for this center - occured over ten years ago when the operator of a station known as "Samurai Radio" dressed up in Japanese robes and attempted to disembowel himself with a broken R-390A tube in the doorway of a Chinese restaurant. Fortunately, incidents such as these only happen in a small percentage of extreme cases. More commonly, the pirate radio operators begin to neglect their personal hygiene, dress in unmatched loud colors, and carry small rodents in their pockets. Soon they begin to stand around outside Radio Shack stores, where they drool and mutter profanities. The lucky ones are known radio amateurs or college students, in which case their behavior is usually accepted as normal. But in real life, many of these men are school principals, attorneys, chemical engineers, clergymen, and policemen. Many have lost their jobs and been divorced by their spouses as a result of their behaviour. When this happens, the center steps in to help. For a reasonable fee - usually whatever is left after the divorce - the center turns these babbling wretches back into contributing members of polite society once again. To prevent a relapse, certain "trauma procedures" are used so that the patients will never again want to come within ten feet of a microphone. Despite the obvious good works that it does, lately the center has come under scrutiny in the city of Peoria. A highly-placed anonymous official of the Central Peoria Power Company told this reporter, "They're our biggest user of electricity between 10 p.m. and 6 a.m. Sometimes they cause the street lights to dim for a twenty block radius." When asked if the Peoria Police have ever investigated the screams which come from the hospital for hours each night, Sergeant Pete Swift retorted, "Are you kidding? It's all I can do to get our officers to drive by that place. Most of the men have families, you know. I couldn't expect anyone to go in there. They would rather track down some heavily-armed mass-murderer." Mrs. Martha Steward is a 75-year-old widow who lives next to the complex. "I've lived here over fifty years and this was always a peaceful place until THEY moved in. Those screams keep me awake at night. And the patients are always watching me with binoculars from their windows. I'm never comfortable sunbathing in the back yard anymore. Or maybe it's the doctors with the binoculars watching. I don't know. They're all depraved perverts. The guards all look like Jack Nicholson having a bad day. It's plastic surgery, that's what the people in the neighborhood think. Some people say the patients all look like that when they come out, too. The worst is when this head guy flies in from Ohio. Then the staff sits around all night under those oak trees listening to old Johnny Cash records and chugging prune juice by the quart. The next morning it takes hours before we have any water pressure. And when I'm not looking, they stuff my garbage can full with their empty spumoni ice cream cartons. A bunch of degenerates, that's what they are. I try to watch them, but I can't stay awake all the time. Besides, I'd miss my soaps." Mrs. Steward continues, "One day a patient escaped and cornered me in the back yard for several minutes. After pulling up several of my begonias, which he stuffed into his shirt, he grabbed my transistor radio and began talking into it like it was some kind of microphone. After a few minutes some guards came. After sneaking up behind him, they stuck him with a long needle and then carried him away. That was the only time I was ever glad to see those perverted guards. One, who really reminds me of Jack Nicholson in The Shining, told me never to place a radio in open view again. Then he pulled up the rest of my begonias, stuffed them into his back pockets, and winked at me. I'd sell my house and move out, but the real estate agents tell me the house isn't worth anything with these neighbors. There's just something unnatural about that place. It's no wonder the grandkids always have nightmares when they visit."